There is nothing like a live band to get the crowd moving at your event. Whether you are looking for a party band that can play a broad selection of sixties to noughties classics or a soloist, duo or group; from classical guitarists, harpists, and pianists to jazz and Latin ensembles that fit all venues and budgets. Give your event a sophisticated touch with a solo rat-pack style singer or a dinner jazz band! For that Wow! factor and for a night your audience will be discussing and Tweeting about for weeks why not go for one of the bigger named bands? Recently we’ve worked with some spectacular household names, see below for details… TONY HADLEY AND HIS BAND The soundtrack of the 1980’s is littered with hits of the band that had it all, massive hits, screaming girls, huge hair and even kilts! 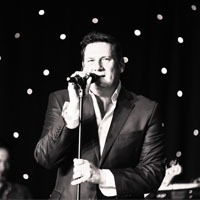 Since 1990, Tony Hadley has been an accomplished solo artists and remains as enthusiastic and ambitious as ever, he tours with his band comprising of bassist Phil Williams, guitarist Richard Barrett and keyboard player Phil Taylor. One lucky client of ours had Tony and his band perform at his retirement party in May 2015, the band entertained the crowd with hits, such as ‘True, Gold’, ‘Through the Barracades’ and ‘To Cut a Long Story Short’. A memorable evening for all who attended, Tony was, as always, pure Gold! 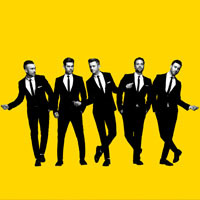 The Overtones This five piece harmony group, made up of friends who are former painters and decorators, was discovered by a talent scout whilst painting a shop in Oxford Street! Since being signed to Warner records they have gone on to have 3 Consecutive Top 5 Albums, performed at the Queen’s Diamond Jubilee celebrations and made an appearance at The Festival of Remembrance. Hugely popular with a broad fan base this lovely bunch of guys recently sang for our clients at the Waterloo Ball in Belfast and proved again to be massively popular, with the entire audience enjoying their performance. Heather Small & M People Famous for songs such as ‘Moving on Up’ and ‘Search For The Hero’, Heather Small and M People have sold over an amazing 10 million albums worldwide. ‘Proud’, Heathers first solo release became a favourite of fans of the hit comedy show Miranda, as well as being closely linked with the Olympics and as an anthem for Gay Pride. M People entertained guests in Belfast in May, keeping the dance floor packed with hit songs which force you out of your chair and on to the dance floor. They are, quite simply, anthems that always bring a smile to your face and you’ll see even the shyest of delegates hit the dance floor, this show for our clients was as the lady sings herself One Night In Heaven! THE CHRISTIANS One of the UK's biggest soul bands formed in Liverpool in 1986 The Christians produced a unique blend of soul, gospel and heartfelt acoustic pop, topped off by Garry Christian's distinctive vocals. 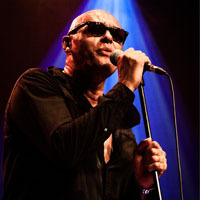 Still sporting the Ray-bans and Garry’s incredibly rich and sultry voice, that made a million women swoon, The Christians appeared at Chesterfield Football Club for an end of season dinner and entertained 500 guests with hits like 'Ideal World' and 'Harvest for the World'. Stacey Solomon Stacey Solomon burst onto the scene when she came 3rd in X Factor with her winning smile and bubbly personality she soon found a place in the hearts of the nation, becoming one of the most recognised faces on British TV, famously winning I’m A Celebrity Get Me Out of Here in 2010, and recently competing in The Jump 2015. Stacey has already enjoyed the kind of musical success that many dream of – her first appearances on the X Factor led her on to be part of a joint number one single and participate in an arena tour. Our clients at the Blackburn Shopping Mall were thrilled we could arrange for Stacey to join their fashion show and sang 4 songs for the crowds.